4″ diameter x 14″ tall (10″ tall when upper chamber is nested within lower chamber for storage or transport). 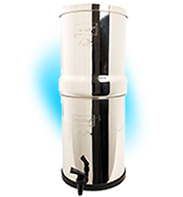 Free shipping* from Vancouver to BC, AB, MN, SK, ON & QC applies to Berkey® gravity water filtration systems. Discounts apply to Berkey products within a single order and shipped to a single address for the entire order. Call us for details at 604-733-7888. 7.5″ diameter x 18″ tall (12″ tall when upper chamber is nested within lower chamber for storage or transport). 8.5″ diameter x 20″ tall (13″ tall when upper chamber is nested within lower chamber for storage or transport). 9.5″ diameter x 23″ tall (15.5″ tall when upper chamber is nested within lower chamber for storage or transport). 10″ diameter x 26″ tall (17″ tall when upper chamber is nested within lower chamber for storage or transport). 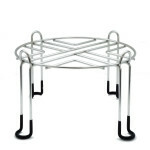 11″ diameter x 30″ tall (20″ tall when upper chamber is nested within lower chamber for storage or transport). if used with water that may contain extreme bacteriological or viral contamination, it is recommended that two drops of plain chlorinated bleach or iodine be added to each refill before filtering = this will kill minute pathogens such as viruses – the disinfectant will then be filtered from the water entirely removing its odour, colour and taste. 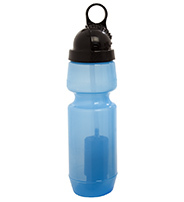 recycle code for the Sport Berkey® bottle is 4, which is Low Density Polyethylene (LDPE). 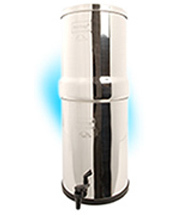 Each Black Berkey® element (replacement cartridge) has a potential filter life of up to 3000 gallons. They can be cleaned up to 100 times using a 3M Scotch Brite Pad. See list of contaminants reduced. 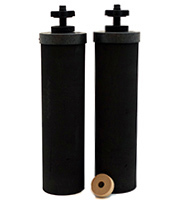 When used with chlorinated city tap water WaterMatters recommends changing out a pair of Black Berkey® elements approximately every 18 – 24 months. 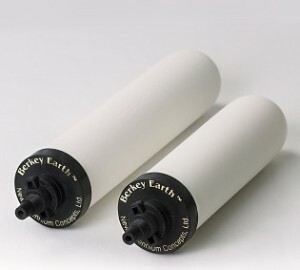 Berkey Earth® Elements are a new Berkey filter composed of a proprietary formula of Diatomaceous Earth, granulated activated carbon and other media. 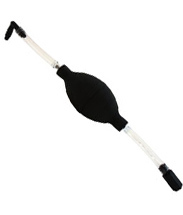 They come in 2 sizes: 7″ suitable for Travel Berkey systems and 9″ suitable for Big, Royal, Imperial and Crown systems. 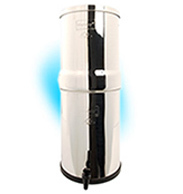 Berkey Earth® elements are sold AS SINGLES. Please note that unlike Black Berkey® Purification Elements, Berkey Earth® Elements are not to be primed before use. 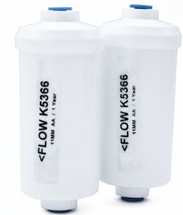 For fluoride and arsenic reduction, please inquire about the new PF-4 Fluoride and Arsenic Reduction Filters specifically designed for use with Berkey Earth® elements. *To take advantage of our FREE SHIPPING on the following Berkey® Accessories (excluding the Stainless Steel Stands), first add a Berkey® Gravity system (Travel, Big, Royal, Imperial or Crown) to your cart and then select from the Accessories options directly on your checkout page. Simply buying an accessory without purchasing a Berkey® System? No problem! Please use the list below; note that shipping charges will apply. 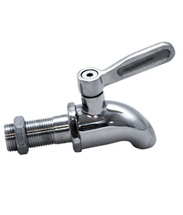 For use in areas where fluoride is added to tap water or where pentavalent arsenic is present in the water supply. 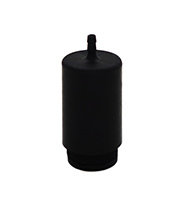 threaded spindle of Black Berkey® elements. Fluoride is NOT added to tap water in Metro Vancouver, Vancouver Island or the Okanagan. See here for municipalities in British Columbia that add fluoride to tap water. 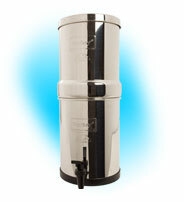 is limited potable water available to prime Black Berkey® elements. are being taken out of use and prepped for shortage. element. It is ready to use. 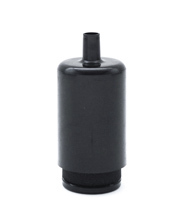 Can be used instead of the standard black nylon Berkey® spigot. shields which keep the washers positioned properly. 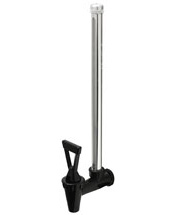 Polished stainless steel stand (5″ tall) with non-marking rubberized feet. 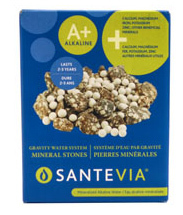 These stones are placed in the bottom of a water container to add minerals to the standing water. 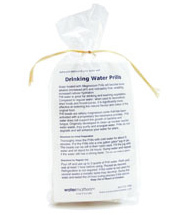 They do not make the water alkaline except upon initial use. Effective way to make drinking water alkaline. 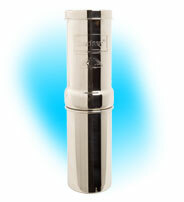 Do NOT place in the bottom of your Berkey® water filter. 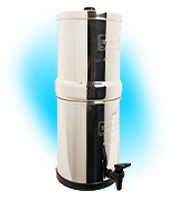 Place inside a one gallon glass or ceramic dispenser filled with Berkey®-filtered water. Raises pH substantially within less than one hour. Keep replenishing dispenser with water as needed. Will effectively alkalize newly added water for approx. 6 months, longer if kept in the dark. In some parts of Africa, women and children spend 8 hours a day collecting water.